Launched in 1978, the International Sun/Earth Explorer 3 was sent on a mission to explore the Earth’s interaction with the sun. Several years later, the spacecraft changed its name to the International Cometary Explorer, sent off to explore orbiting ice balls, and return to Earth earlier this year. Talking to that spacecraft was a huge undertaking, with crowdfunding campaigns, excursions to Arecibo, and mountains of work from a team spanning the globe. Commanding the thrusters onboard the satellite didn’t work – there was no pressure in the tanks – but still the ICE mission continues, and one of the lead radio gurus on the team has put up the telemetry parser/display crafted for the reboot project up on Github. The guy behind the backend for the ICE/ISEE reboot project should be well-known to Hackaday readers. He’s the guy who came up with a Software Defined Radio source block for a cheap USB TV tuner, waking everyone up to the SDR game. He’s also played air traffic controller by sitting out near an airport with a laptop, and has given talks at Black Hat and DEFCON. The ICE/ISEE-3 telemetry parser/display allows anyone to listen to the recorded telemetry frames from the satellite, check out what was actually going on, and learn how to communicate with a device without a computer that’s rapidly approaching from millions of miles away. He’s even put some telemetry recordings up on the Internet to practice. Although the ICE/ISEE-3 reboot project will have to wait another decade or two until the probe makes its way back to our neck of the woods, [Balint] is taking it in stride an organizing a few Software Defined Radio meetups in the San Fransisco area. He just had the first meetup (Video below) where talks ranging from creating a stereo FM transmitter in GNU radio, a visual introduction to DSP for SDR and SETI signals from the Allen Telescope Array were discussed. There will be another meetup in a few weeks at Noisbridge, with some very cool subjects on the roster. Love the classic brick Game Boy, but hate the low-contrast LCD, terrible battery life, and the inability to play Pokemon Emerald? This one’s just for you. It’s the ultimate DMG Game Boy – a Game Boy Advance SP stuffed (is it stuffed if it’s taking up more room?) into the classic Game Boy enclosure. Forum thread. Zooming in to a microchip. It starts off with a DSLR and ends up on a scanning electron microscope. This is an older chip, and the CPU you’re using right now probably has much smaller features. Every movie and every TV show set in space invariably has space helmets with LEDs pointing towards the face. Think how annoying that would be for an astronaut. Here’s how you add LEDs to a space helmet for a nice theatrical effect. Just don’t use it on a real EVA. Everyone’s favorite crowdfunded space probe can apparently be detected with an 8-foot dish. That’s the same size as an old C-band dish, a.k.a West Virginia wildflowers. We know some of you have one of these out there, so go make a ~2GHz feed horn, grab a USB TV dongle, write it up, and send it in. Alright, MAME cabinets. Say you want to go old-school and have a CRT. Some arcade games use a vertically oriented display, while other, slightly more modern games use a horizontally mounted display. How do you fix this? Get a big bearing, of course. This one allows a 19″ CRT to be rotated 90 degrees – all you need, really, if you’re switching between Pacman and Mortal Kombat. Hey mechanical keyboard enthusiasts! Here’s some Hackaday Cherry MX keycaps. Informal interest check in the comments below. Suggestions welcome. 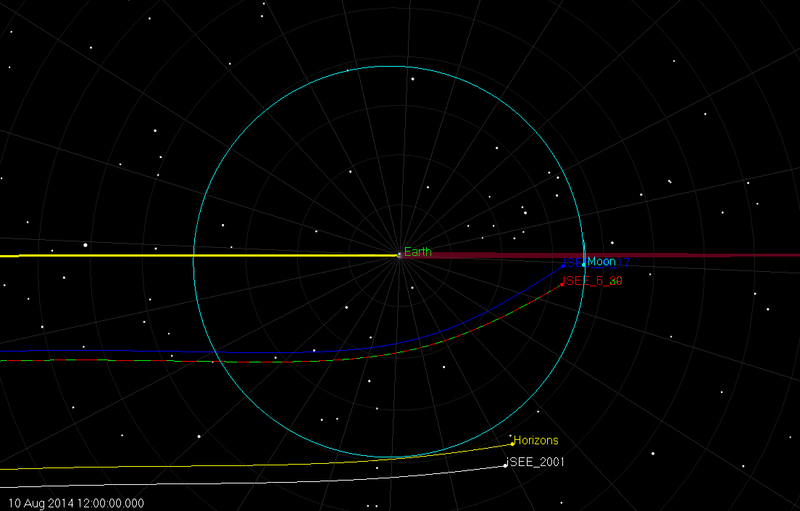 Intended trajectory from ICE team in 1986 (blue), 2001 ephemeris of ISEE-3 (white) and current ephemeris (red/green). Click to embiggen. When last we heard of the progress of commanding the derelict ISEE-3 satellite into stable orbit between the Earth and the sun, the team had just made contact with the probe using the giant dish in Arecibo, sent a few commands, and started gathering data to plot where the spacecraft is and where it will be. A lot has happened in a week, and the team is now happy to report the spacecraft is alive and well, and much, much closer to the intended trajectory than initially believed. Before last week, the best data on where ISEE-3 was heading was from a 13-year-old data set, leaving the project coordinators to believe a maneuver of about 50-60 m/s was necessary to put the spacecraft into the correct orbit between the Earth and the sun. With new data from Arecibo, that figure has been reduced to about 5.8 m/s, putting it extremely close to where the original ICE navigation team intended it to go, all the way back in 1986. This also gives the team a bit of breathing room; the original planned maneuver to capture the spacecraft required nearly a third of the available fuel on board. The new plan only requires the spacecraft expend about 5% of its fuel stores. This, of course, brings up the idea of continuing the planned mission of the rebooted ISEE-3 beyond the Earth-Sun L1 point, but that is very much putting the cart before the horse. Of course, getting ranging data of the spacecraft is only a small part of what has happened with the ISEE-3 part this week. 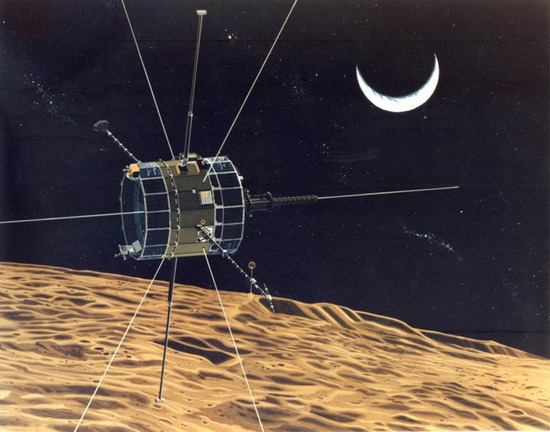 Thanks to the ‘away team’ sent to Arecibo to install hardware and attempt to make contact with the satellite, both transceivers are working, telemetry is being downloaded from the probe, and work has begun on refining the exact position of ISEE-3 to compute where and when the spacecraft needs to make its maneuver. Regular Hackaday feature and software defined radio god [Balint] was on hand with the away team at Arecibo to install his company’s SDR unit on the largest dish on the planet. His happy dance of the first data from ISEE-3 made the blog rounds, but the presentation (PDF) and photo gallery tell the story of working on the largest dish on the planet much better. 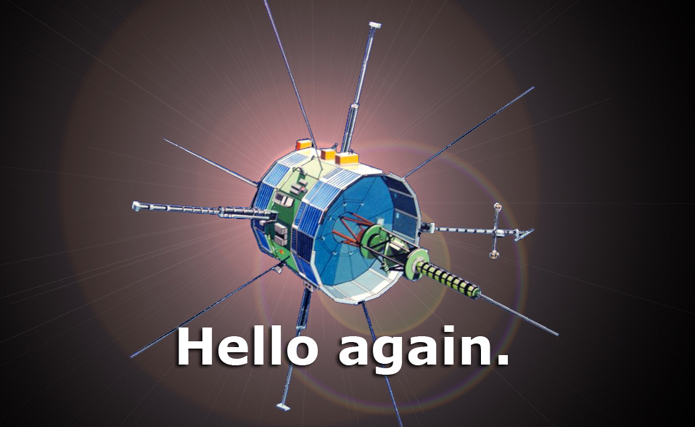 There’s still a lot of work to be done by the ISEE-3 team as they figure out how best to capture the spacecraft and prepare for the burn in the following week. They should have the exact orbit of ISEE-3 nailed down early this week, and after that, ISEE-3 could on a path back home in less than two weeks.